Ask fellow campers about "Brownlee Lake Park Resort & Campground" and nearby attractions. Great view of Lake in site 1! Owners very helpful and friendly. Would go back here anytime. Wonderful experience, we traveling through area if we had more time I wish we had stayed longer. Not a lot to do in area just enjoy the campground! 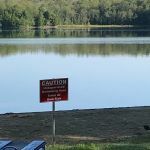 We camped at Brownlee Lake Park Resort & Campground in a Motorhome. The hosts are super friendly, the place is spacious and the restrooms are very clean. The restaurant is on reservation only, and serves typical Bavarian (German) food. The lake is beautiful and quiet. Our best camping experience ever! 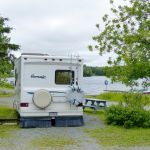 We camped at Brownlee Lake Park Resort & Campground in a Motorhome. This park is like being on a farm. There are horses and barns and fences and a house spread out over the acreage. The campsite areas are divided up, as well. We got a site right on the lake. It was beautiful. There are complete hook-ups with 30 amp. The people running the park were very friendly and when I called and asked about check-in time, they said when I arrived would be the check-in time. First time anyone has been that flexible. Nice country lanes and some shade, too. I will definitely stay here again. We camped at Brownlee Lake Park Resort & Campground in a Motorhome. There's a nice swimming area in the lake. The sign says there's a restaurant in the house or maybe an out building by the house, I think, but I wasn't there long enough to investigate that. This is such a nice, country setting on a beautiful lake. You won't want to drive all the way into town for anything, so stock up before you arrive. This little campground was a very pleasant surprise. It is situated on a pretty lake, away from busy roads, with friendly owner who made us feel very welcome. It may be a little tight for really big rigs but we managed to manoeuvre the access road with our 36ft 5th wheel. Our site #2 was a good sized, grassy pull through with a lake view and reasonably level. The bathrooms are small but very clean. There is a dock for lake access (we used our kayak) and a little beach. Plenty of room to walk the dog and she enjoyed swimming too. There is no WiFi and our cell signal was weak but we managed. We had a peaceful, relaxing stay and would come here again. We camped at Brownlee Lake Park Resort & Campground in a Fifth Wheel. Small park with many seasonals. But very nice. On the lake and very pretty. Trees, landscaping, and seasonal homes were pretty new, well maintained and neat. Very quiet. Space was full hookup, pull thru, and quite spacious. Very convenient off the highway, but far enough that there was no highway noise. I would definitely stay here again. 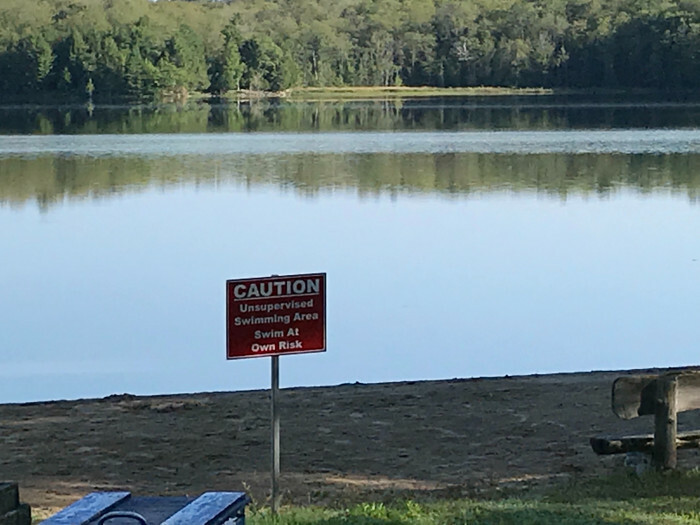 We camped at Brownlee Lake Park Resort & Campground in a Motorhome. Restaurant on site was open weekends, but we did not go so I can't comment on it. This campground turned out to be a pleasant surprise as it wasn't originally our first choice to stay at in the area. Situated at the end of the road well away from the main highway the only noise was from the wind. Due to tight turns it is not suitable for big rigs. Our site was a gravel pull-through with a table and fire ring. I had to do major levelling due to a downslope in the front end of the pad. Water and electric hookups well located, but sewer at our site (#35)was 12 inches above grade making it very difficult to drain our tanks. No cable TV, but found two channels from USA on the antenna. Wi-Fi was a hotspot located in the office (too far away to use at the campground). Onsite laundry with 1 washer and 1 dryer ($2 each) and a restaurant that opens in summer Friday and Saturday by reservations only. Canoes for rent was well. Down the same road is the Round Barn with antiques and gifts. We would stay here again if ever in the area. We camped at Brownlee Lake Park Resort & Campground in a Motorhome. 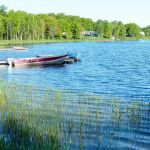 Are you affiliated with Brownlee Lake Park Resort & Campground ?